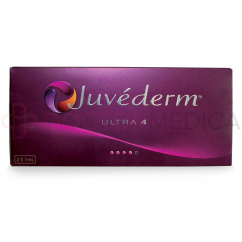 Purchase Juvederm Ultra Plus XC from Doctor Medica. We offer a complete range of medical and aesthetic supplies to cater for all your patients’ cosmetic needs. Order through our website, by phone, by fax, or by email. 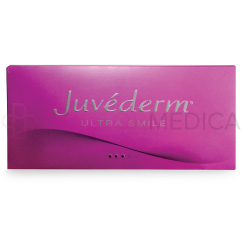 Juvederm Ultra Plus XC is supplied in individual treatment syringes with 27G needles. 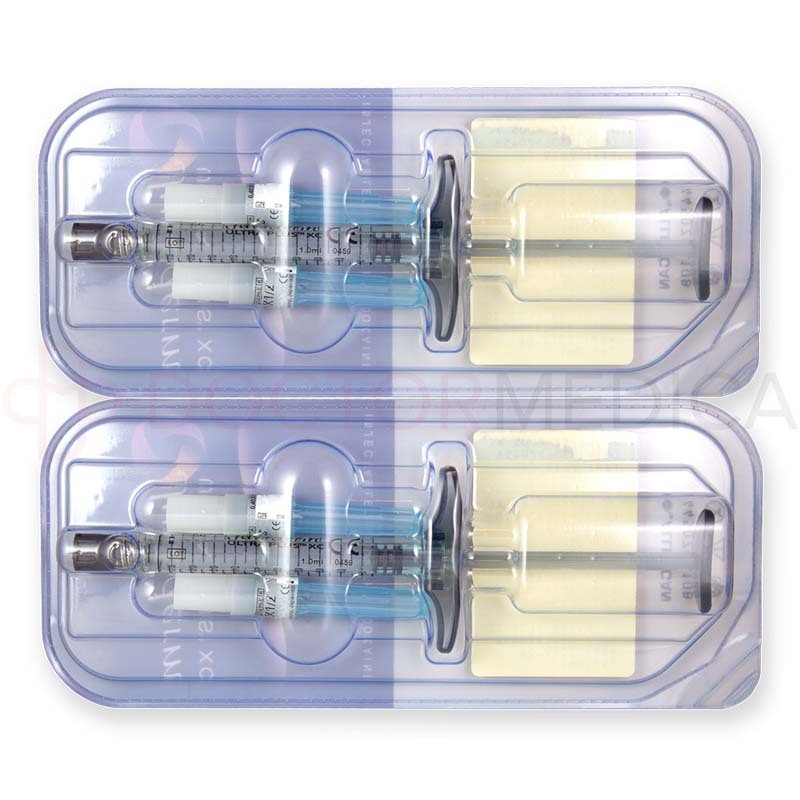 Each syringe contains 1ml of gel, as is indicated on the syringe label and on the carton. An information leaflet is also supplied. 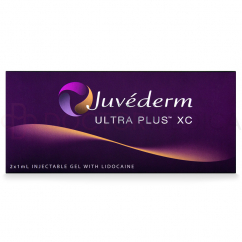 Juvederm Ultra Plus XC is 1 of the longest lasting hyaluronic acid-based dermal fillers on the market, with results that can last up to 12 months. The gel is supplemented with lidocaine to improve patient comfort during the injection. 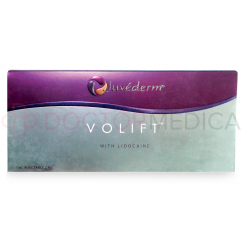 This treatment is FDA-approved to treat moderate to severe facial wrinkles and folds. 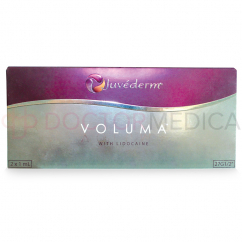 Cross-linked hyaluronic acid (24mg/ml), 0.3% lidocaine, physiologic buffer. 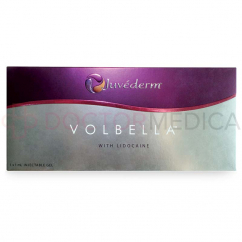 This dermal filler is a gel made of stabilized hyaluronic acid that is injected to the areas of facial skin tissue where wrinkles and folds appear, where it acts to temporarily add volume to the dermal tissue. This ultimately restores a smoother and more youthful appearance to the face. Hyaluronic acid retains water and delivers nutrients within the skin, which enables it to generally act as a cushioning agent in the skin. This dermal filler may only be used by medical practitioners who have received training for proper wrinkle-correcting injection techniques. 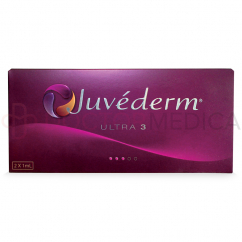 Before the procedure, inform your patient of the expected result, indications, contraindications, precautions, and potential adverse events of using Juvederm Ultra Plus XC. 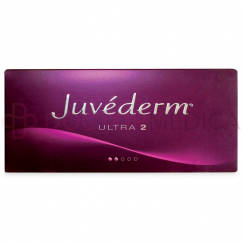 Inject the gel into non-inflamed, healthy skin that has been cleansed and disinfected. The injection technique and skill of the practitioner is essential to treatment success. To inject, use the supplied 27G needle and inject slowly while employing the suitable injection technique. A linear threading technique, serial puncture injection, or a combination of the 2 can be used to achieve optimal results. Inject the amount of product necessary to achieve the desired correction. Do not overcorrect. After injecting the product, lightly massage the treated area to ensure even distribution. Treatment is usually completed in 1 or 2 sessions, after which repeat injections are usually necessary to maintain optimal correction. Only perform a touch up treatment if needed to achieve the desired results. 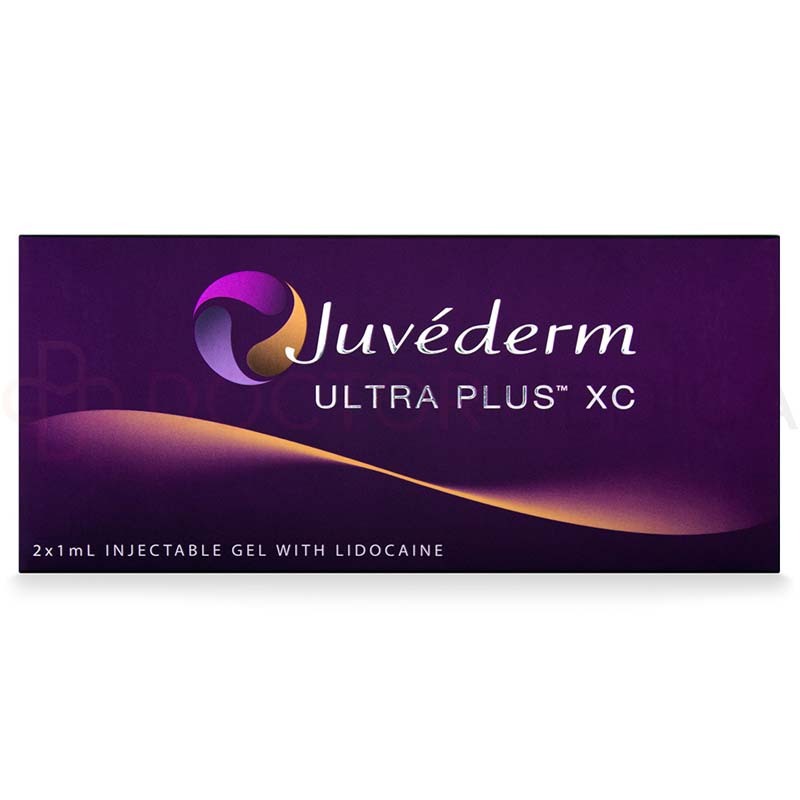 Juvederm Ultra Plus XC is used for the correction of moderate to severe facial wrinkles and folds (such as nasolabial folds). 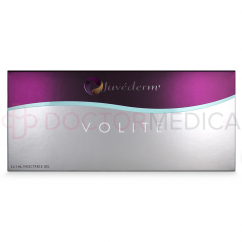 Juvederm Ultra Plus XC can be used to treat moderate to deep wrinkles and folds on the face, particularly nasolabial folds. Results are immediately visible and are long lasting. Typically, the effects of treatment last at least a year and sometimes longer depending on the individual’s skin type, age, lifestyle, and various other factors. 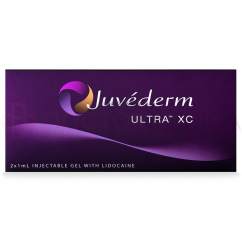 Juvederm Ultra Plus XC provides a tailored treatment for moderate to severe facial wrinkles and folds. 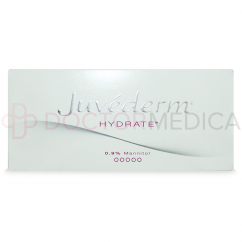 As part of the popular Juvederm line of filler treatments, this product has been extensively tested and researched both in clinical trials and in real-world clinical practice settings to prove its effectiveness in treatment and longevity in results. 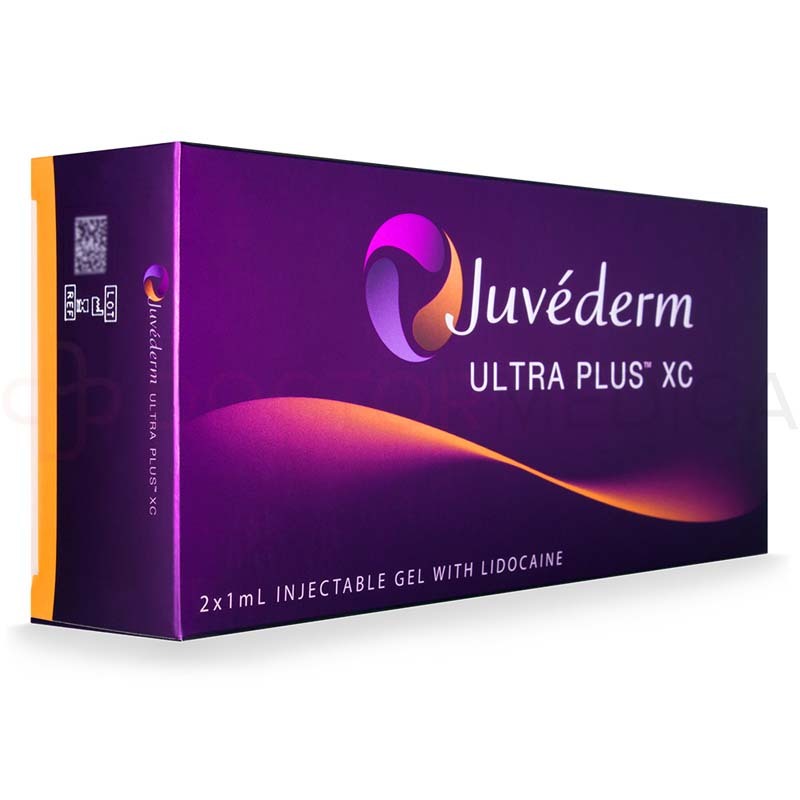 Individuals over 21 years of age who are seeking to correct various age-related facial aesthetic deficiencies, such as moderate or severe wrinkles and folds, are good candidates for Juvederm Ultra Plus XC treatment. This product should not be used in patients with severe allergies marked by a history of anaphylaxis or history of multiple severe allergies, or a history of allergies to lidocaine, hyaluronic acid, or Gram-positive bacterial proteins. 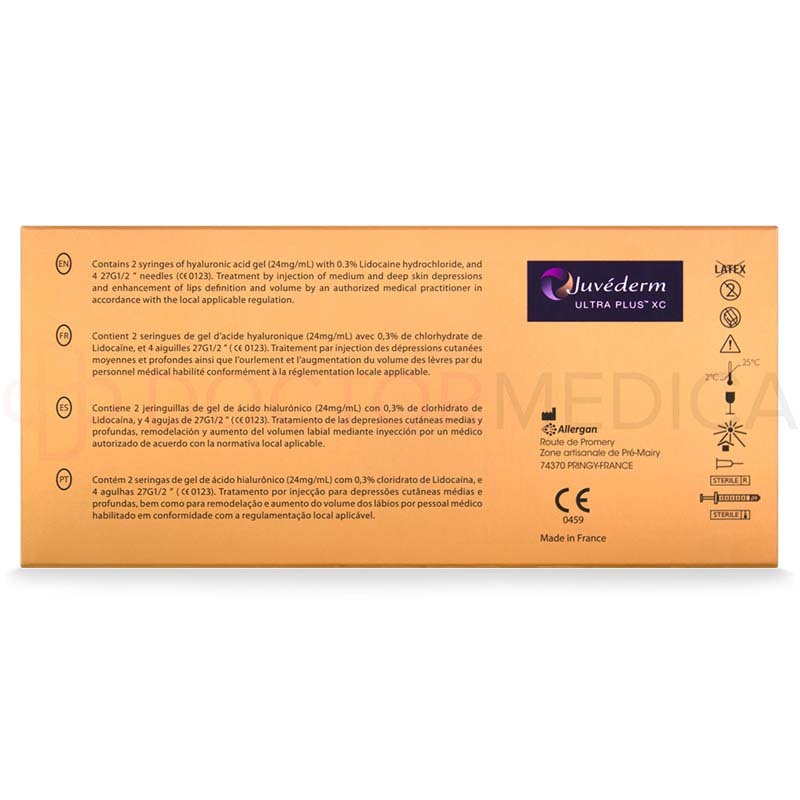 This product should be used with caution in patients on immunosuppressive therapy. The safety for use during pregnancy, in breastfeeding females, and in patients with known susceptibility to keloid formation, hypertrophic scarring, and pigmentation disorders has not been studied. The most common side effects associated with this product are reactions at the injection site, including redness, swelling, firmness, lumps or bumps, tenderness, bruising and discoloration. These reactions are typically mild and are expected to resolve within 7 days. Should these symptoms persist or worsen, your patient should seek medical attention. As with all skin injection procedures, there is the possibility of infection occurring. Another risk associated with this procedure is the inadvertent injection of the product into a blood vessel. This is very rare, but if it occurs, serious and permanent complications may result. These complications may include vision abnormalities, blindness, stroke, permanent scarring of the skin or temporary scabs. For further information, a full list of contraindications, precautions and potential side effects can be found in the package insert.